While many of us escape to nature when we need a break from civilization, technology is one of those things that tends to follow us into the woods (or onto the water). It’s not always a bad thing; in fact, smart phones can serve as a lifeline in the case of an emergency, or a tool that actually aids us in our chosen sport. 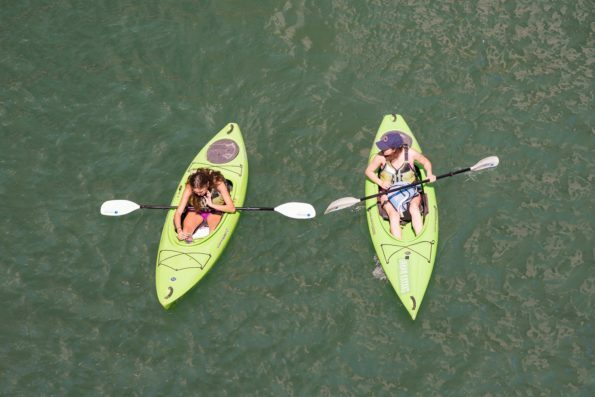 Follow this guide this guide to find the best kayaking apps before leaving shore again. As outdoor adventurers ourselves, we enjoy researching the best resources available on the modern market and sharing them with you. 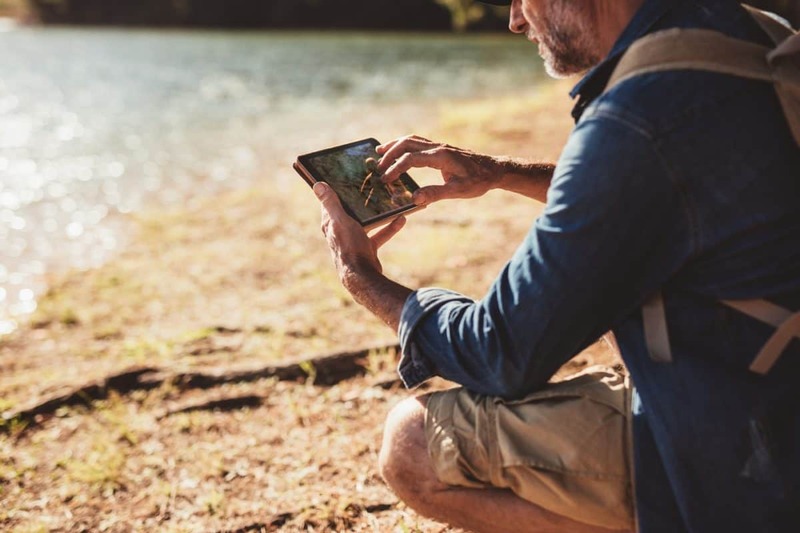 Whether you’re in need of an app that tracks your location, keeps you up to date on weather changes, or connects you with other paddlers, you’ve come to the right place. Imagine being on the open ocean in a kayak. The skies are darkening, but you’re not sure if it’s necessary to turn back or not. With AccuWeather, you’ll receive minute-by-minute forecast updates and push notifications in the event severe storms are headed your way. 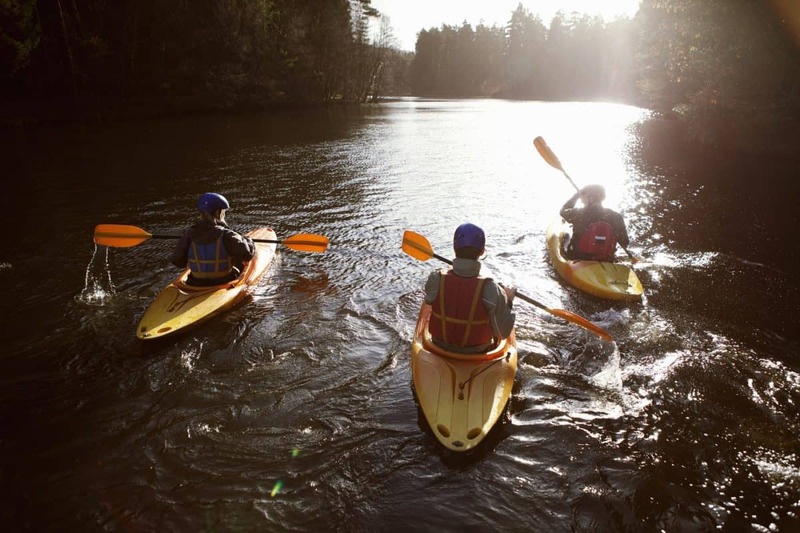 Temperature, humidity, precipitation percentages, dew point, visibility, UV index, wind speed and direction, sunrise and sunset times, and more, will help you make the most informed decision before or during a kayaking trip. While some people enjoy kayaking for the quiet moments or rigorous exercise it offers, others are out to fish. If you’re big into fishing, you know how important it is to be at the right place at the right time. FirstMate is an app that lets you in on the best fishing times each day. Plan your schedule around moonrise/moonset, sunrise/sunset, major and minor feeding times, and current moon phase. Going on a trip in two months? No problem. FirstMate allows you to fast-forward to the days of your trip and check the conditions. One of the more expensive apps in this review happens to be one of the best. Boating USA & Canada is an amazing all-in-one tool that will not only get you from point A to point B, it will make sure you’re up to date on any information you may need to do so. Want to know the best fishing areas? You<h2’ve got it. Need to avoid shallow water areas? No worries. Simply highlight them in bright yellow. The app collects wind speed and direction, air pressure, water temperature, and wave height through NOAA buoy trackers. In addition, dock-to-dock auto routing, sonar charts, navigation modules for ETAs, weather forecasts, tide tables, and a wide variety of maps are all at your fingertips for under $15. With thousands of chart updates and community edits, you’ll always be in the loop while you’re on the water. Over the years, GPS devices have gotten smaller and smaller. But if we’re being honest, do we really want to carry another device around on our outdoor trips? Many would agree that one electronic device is enough. Enter Polaris GPS. 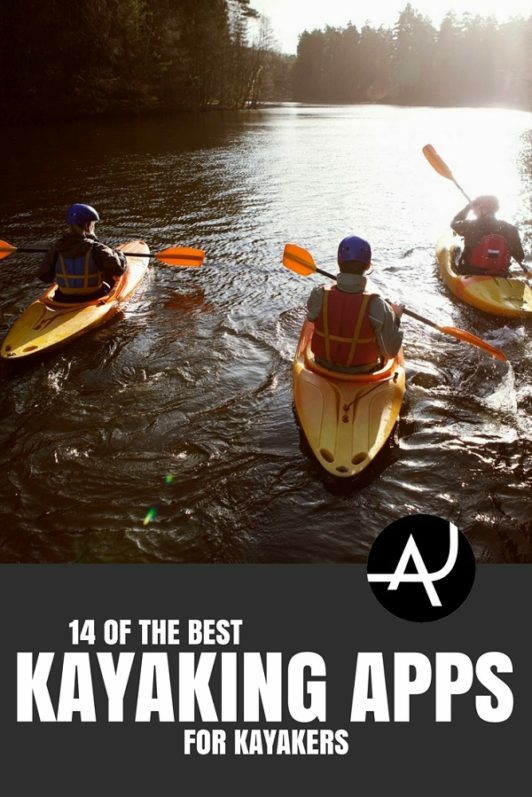 Not only is this app great for kayaking, it’s great for hiking, biking, camping, and more. With thousands of great reviews on the Google Play store and the ability to track coordinates, magnetic heading, altitude, speed, distance, and time, you can’t go wrong. The NOAA marine charts are some of the most frequently mentioned features in the reviews, allowing you to view depth and marine features. The app offers marine navigation through the Military Grid Reference System (MGRS). When you’re not on the water, take advantage of USGS TOPO maps to find hiking trails and campgrounds, even offline, with their Map Library. Draw a trail to mark your adventure and follow driving directions on your way home. Sometimes the best apps are the simplest ones. Just as it’s difficult to decide on the best place to eat dinner, it can be difficult to decide on the best place to go kayaking. Go Paddling is an awesome resource for finding the best location to kayak, canoe, or SUP. There are over 25,000 locations pre-loaded in the app, just waiting to be explored. You’ll find launch sites and detailed notes about each place from other users. River Data is another great tool with many useful features. Providing water data for over 14,000 sites is hugely important in choosing where to kayak and why. One of the best features is the dissolved oxygen reading. This is very useful for fishing, but for general kayakers, allows you to avoid areas of stagnant, mosquito-filled waters. 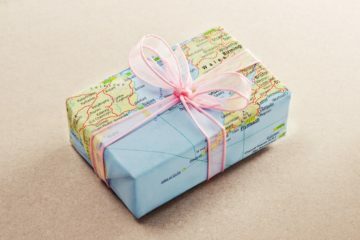 Other bonuses include yearly historical peak stream flow readings, National Weather Service data for all sites, the ability to store the best sites under ‘favorites’, navigation app compatibility, and social media sharing options. 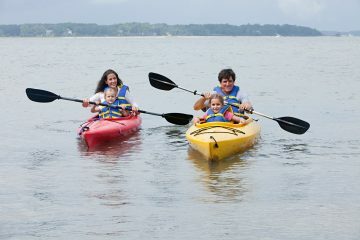 Anyone who enjoys taking pictures, making videos, or mementos of their outdoor experiences is going to like KayakLog. 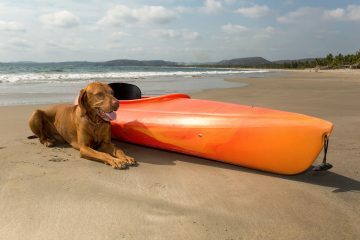 This unique app collects information as you paddle – wind speed, air temperature, trip length, kayak speed, and photos you snap along the way. KayakLog allows you to upload your data onto their website and also share your records on social media. With the free version, users may create up to five logs. The pro version allows unlimited log creation for a nominal monthly fee. The Trip Journal app won an Android Development Challenge for its ability to document your experience and share them with your loved ones. It geotagging on photos and waypoint recording, which makes social sharing super easy when it comes time to do so. The best whitewater forums on the interwebs are Mountain Buzz. Beginning as a website, they developed both Android and iPhone apps to keep you connected to your people even while you’re kayaking or camping. 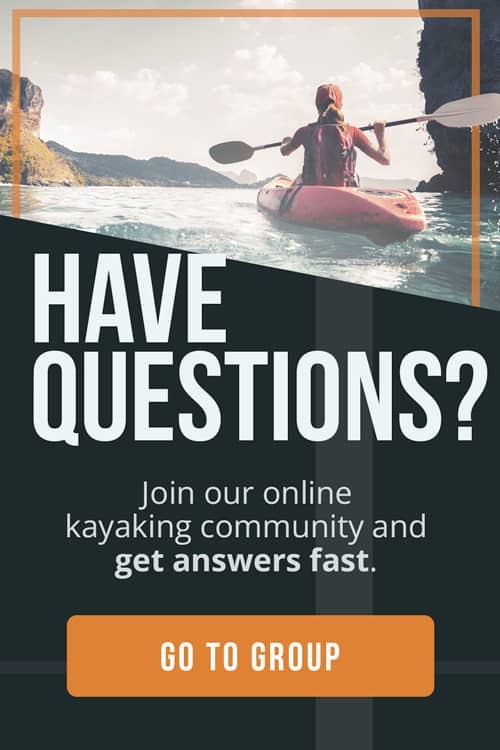 Before your next trip, talk to other kayakers and find out the best whitewater spots near your destination, upload photos to share, or browse the used gear section. The app will help you stay up to date on conditions too, with access to river data and weather information. The well-rounded fisherman will appreciate Tides Near Me. It’s always important to check the tides for the day before heading out. This app offers tide tables for every day, even in the future, making it easy to plan a trip far in advance. Useful to kayakers in the US, UK, Ireland, Australia, New Zealand, and India, this app offers tide tables and sunrise/sunset, moonrise/moonset. With over 5,500 tidal stations communicating accurate readings, this free app is easy to use and definitely a good download. Instead of checking Instagram for whitewater photos and videos, why not download the Rapid+ Magazine app. Rapid is one of the most popular whitewater publications, and their app is awesome. With how-to videos, photo galleries, interviews, and athlete stories, this is the perfect app to use on your lunch hour while you plan your next escape to the mountains. Novice kayakers may be tempted to hit the water as soon as they have their gear, but here’s why they should download Paddle Ready before they do that. This app is a great tool for learning or reviewing safety and rescue techniques. With a huge database of ACA-certified instructors at your fingertips, you’ll know who to contact when you’re ready to up your game. In addition, the app offers wind speed, weather, and river readings. Safety should always come first. 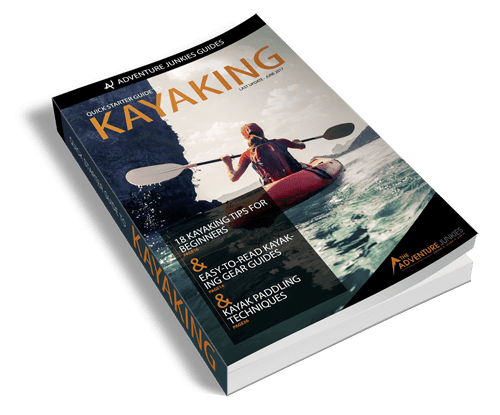 Since there’s no burden of having to carry around a book or take a course, we recommend all kayakers double-check their skills before leaving dry land. CPR instructions are evolving all the time. How many of us stay up-to-date on those changes, other than medical professionals and lifeguards? The Pocket First Aid and CPR app is so useful that it actually kept a man alive for 60 hours during the 2010 Haiti earthquake disaster. Learn adult, child, and infant CPR through videos and illustrations, and access the American Heart Association’s guidelines on cardiovascular care in emergencies. None of the apps in this review are going to be of any help to you if your phone dies. Additional battery supplies are always a good idea to bring, but the Juice Defender app helps you get the most out of your available energy. It manages your Android device to eliminate unnecessary power usage and extend the life of your battery.